Press Ctrl+Alt+F4 to kill the foreground program. The effect is the same as if you would have killed the process from the task manager. This is very useful when fullscreen games hang, and often saves you from having to reboot. You can also kill a process by pressing Win+F4 and then clicking the window with your mouse. 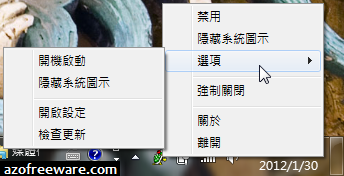 You can press escape or the right mouse button to exit this mode without killing a program. If you accidentally kill explorer.exe, you can start it again by opening Task Manager (Ctrl+Shift+Esc). SuperF4 will automatically check for updates. You can disable this in SuperF4.ini.